With extensive hands-on experience in oil and gas, and over 50 cumulative years in oilfield services recruiting, The Newport Group’s oilfield services recruiters know how to find the talent you need to be successful in the energy space. Because our oilfield services recruiters know how important this practice is to the oil & gas industry, we don’t just focus on one particular niche in the sector. We’ve placed technical and executive professionals for hundreds of organizations in every application—drilling contractors, well servicing companies, completions and stimulations companies, product suppliers, and more. 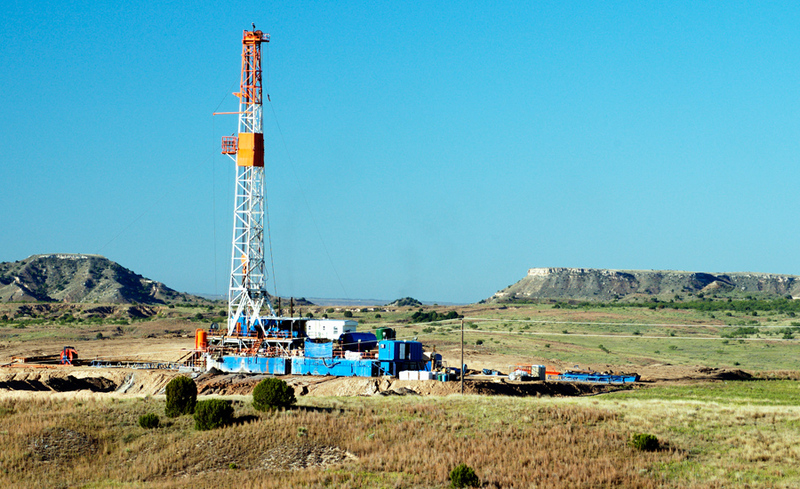 And we’ve helped hydraulic fracturing, cementing, coiled tubing, and wireline services organizations find their key roles as well. Newport knows where to look and who to call to recruit the best talent in the energy industry. Our oilfield services recruiters are active in the energy industry, enabling us to quickly and confidently refer individuals that fit your organization’s strategic and financial goals. We work with you to establish the objectives and specifications of the position, and to understand the character and culture of your organization. This way we have a thorough understanding of what you do and don’t want, and how best to present your opportunity to candidates. Even better, we stay up-to-date on investment trends beyond financial reports by staying active in the nation’s most pertinent oil & gas associations, including The Association of Energy Service Companies and The American Petroleum Institute, to name a few. 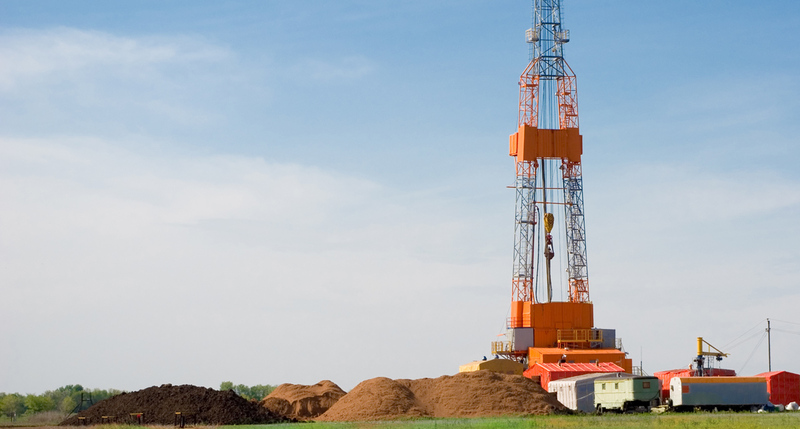 As a result, we’re trusted by hundreds of oil & gas enterprises, of all sizes and revenue, to provide the executive and technical talent they need to run their companies and grow their business. Learn more about the roles we’ve helped place for our oilfield services clients, and the cost-effective executive search program that sets us apart from other executive search firms, The SMART Search Process™ by downloading our digital Oilfield Services Executive Search Overview. Click the button below or the image to download it now. 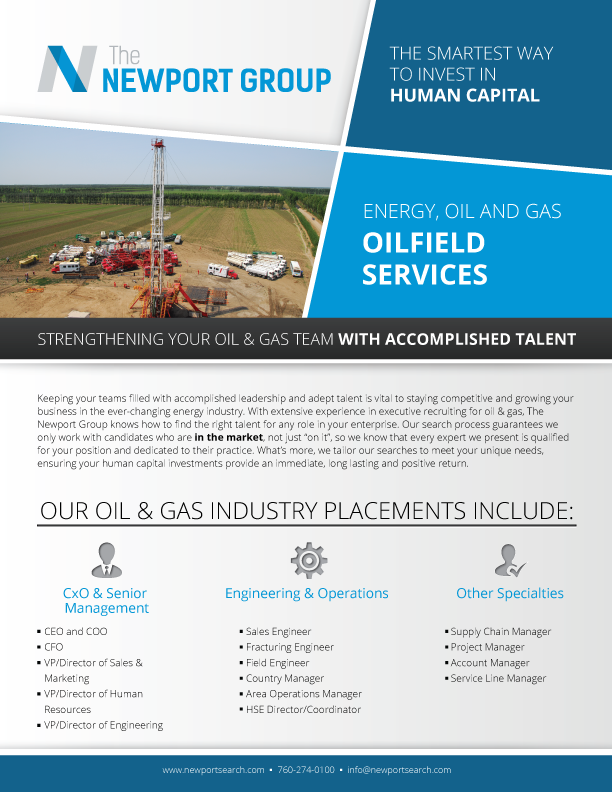 Contact us now to have our Oilfield Services Recruiters connect you with the right opportunity.